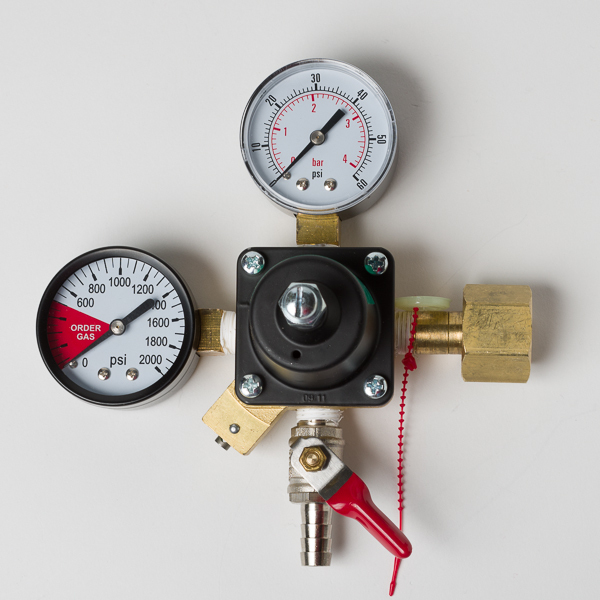 Taprite CO2 Regulator with 0-50 PSI working pressure, 60lb. & 2000lb. gauges, tank fitting 5/16" barb shutoff with check valve, economy. 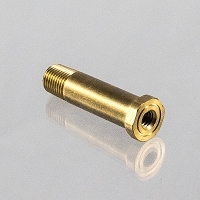 Gas Distributor, 3 Way, 1/4"